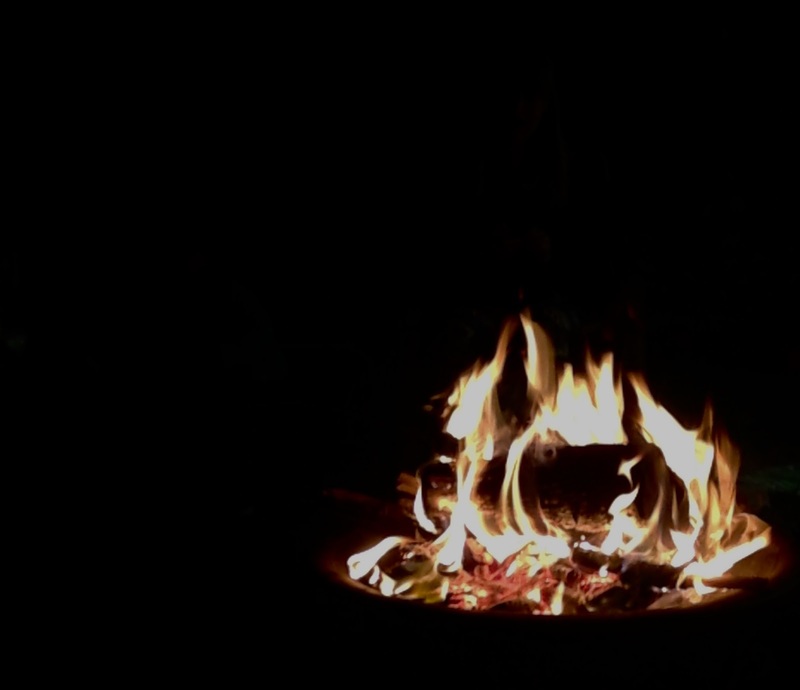 Here's a soundtrack for your bonfire, which is actually its own sound track for fall. Crackling and popping logs, roasting marshmallows, and laughing with friends. Sounds perfect, right? 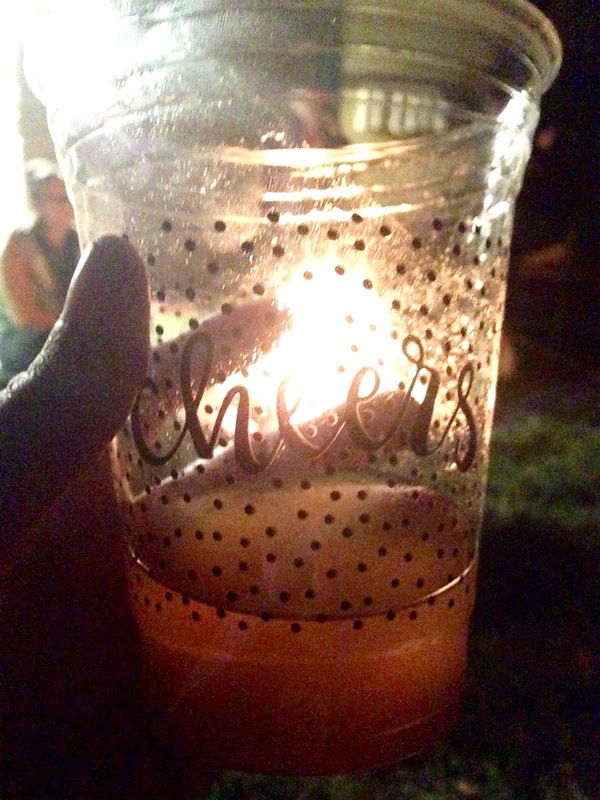 This past weekend our Bible study group from church got together for yard games + a bonfire, and you may have seen me post this cider picture by the fire. It was so nice to get to sit and talk around the fire after getting competitive with some kan jam, horse shoes, and corn hole. 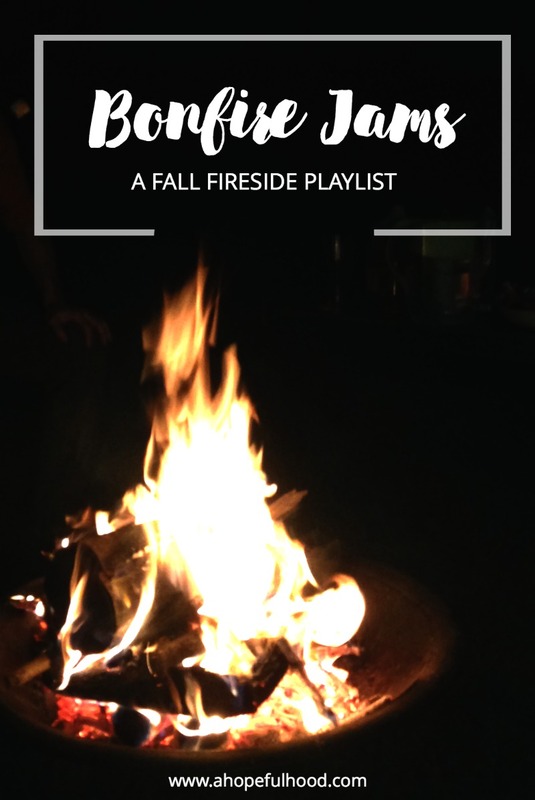 If you're thinking of hosting a bonfire this fall season, make sure to add this music mix! These songs might seem random, but the playlist starts with faster songs and gets more mellow. Boy bands, acoustic, the theme song for my favorite DIY show, some songs you may know, and some that might be new to you (they were new to me until recently! But it's entirely possible you're way more up on your music game than I am. I'm talking to you, little sister.) Now you don't have to look through old Pandora stations that you're tired of hearing. I should have been a DJ. I really missed my calling in life. But could I have DJ-ed parties that went from like 9am to noon? Staying up late/all night.....ok, ok, really I mean staying up past 10....isn't my thing. No worries if you don't have a firepit! Check out this post for 3 suuuper easy & inexpensive DIY firepits. When was the last time you had a bonfire? What would you add to the playlist?